I love love love smelling good. And yes I am buying perfumes very often. This week I saw that there is a new Betty Barclay Eau De Toilette- Bohemian Romance. It is a 2019 marketed product. It has a very pretty bottle with a blue bead and a tiny feather. 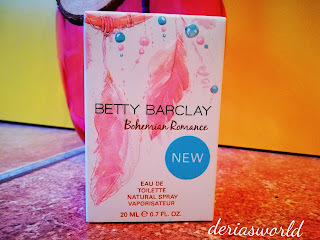 The new Betty Barclay Bohemian Romance, is a nostalgic flower fragnance. It smells for 4-5 hours. Then you have to renew but I think it's ok. I really love Betty Barclay' s Bohemian Romance. Is it your taste too? Please let me know with a comment. Thanks for visiting and reading. This is not a promotional post. This product is payed by myself. Thank you for your product introduction. Especially the first product is an ideal product for valentine. The bottle was very nice. This sounds so lovely! I adore fragrances so much. Meyve/çiçek tam benim tarzım :) Ambalajdaki aksesuarlar çok şıkmış bu arada ..
Gosh, I could almost smell it from here, Deria! Come join our Giveaway to Win Feng Shui Watches by Hochste Timepiece Worth Over $500 Open to All Worldwide! Thanks a lot for your kind comments. Please try to not put your links. If you are a blogger I find you with your google profile. Hi , this is Deria. 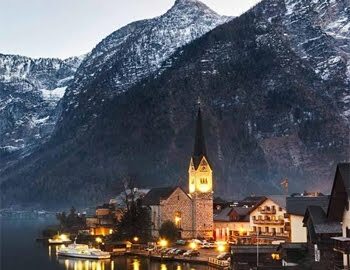 Living in Austria, married, mother of 3 kids. Fashion Blogger and Influencer. Feel free to contact me for collaborations.